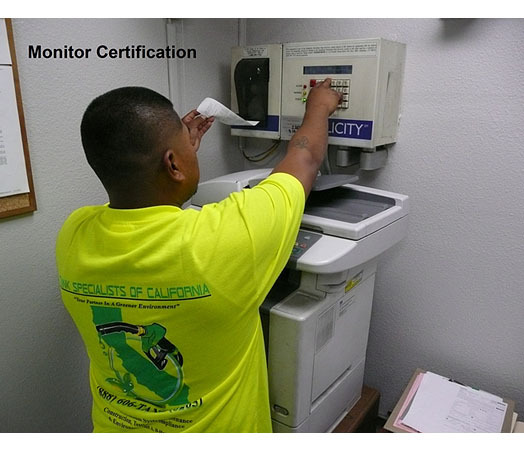 Electronic devices which monitor storage tanks containing Hazardous Materials are required to be tested every twelve months (annually) by a technician who has appropriate Manufacturers and State certifications. 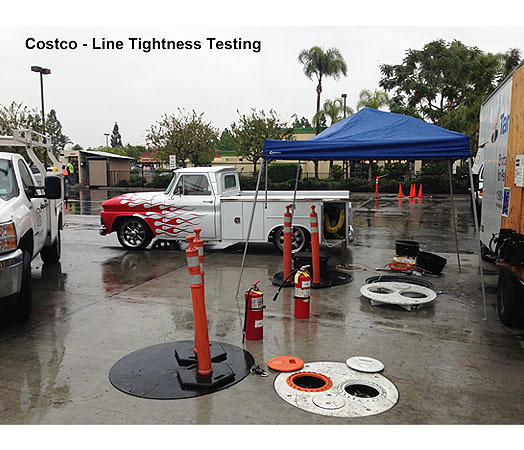 Annual testing of Mechanical Line Leak Detectors and Spill Buckets are typically performed during Monitor Certifications. 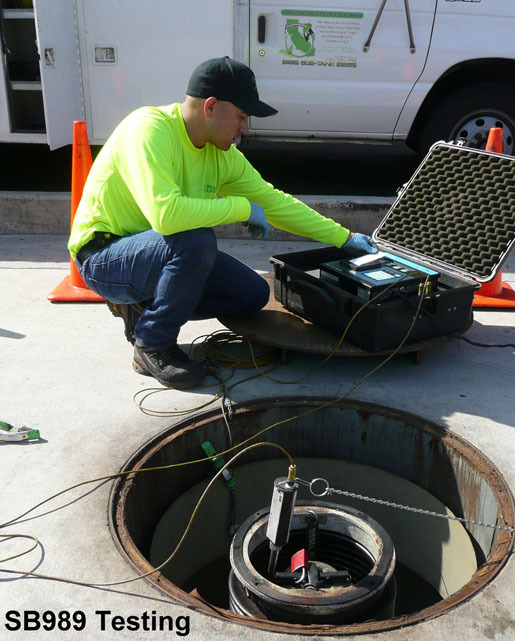 Secondary Containment of Underground Storage Tanks containing Hazardous Materials are required to be tested every thirty six months (tri-annually). 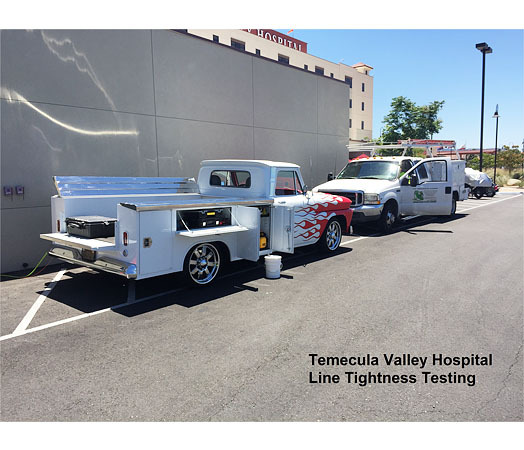 The state establishes a minimum testing frequency of once per twelve months regardless of the amount of fuel transferred at a retail facility, however the individual districts are allowed to establish more stringent testing protocols and increased frequency of testing. 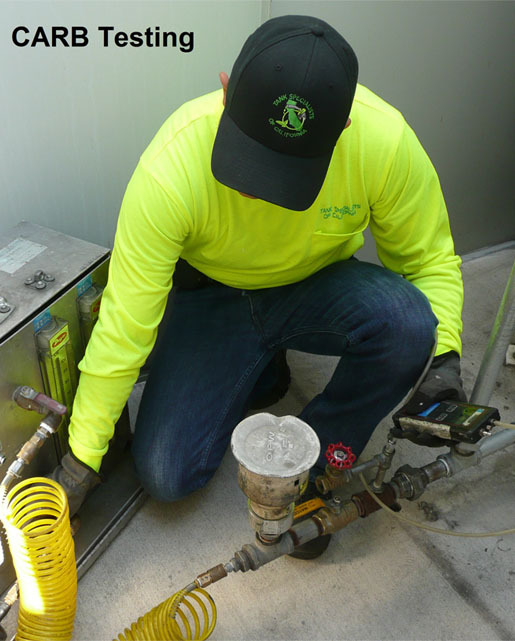 For more detailed information regarding your fueling facility, please refer to the Air Quality District which covers your facility at the Regulatory Agency Link Page. 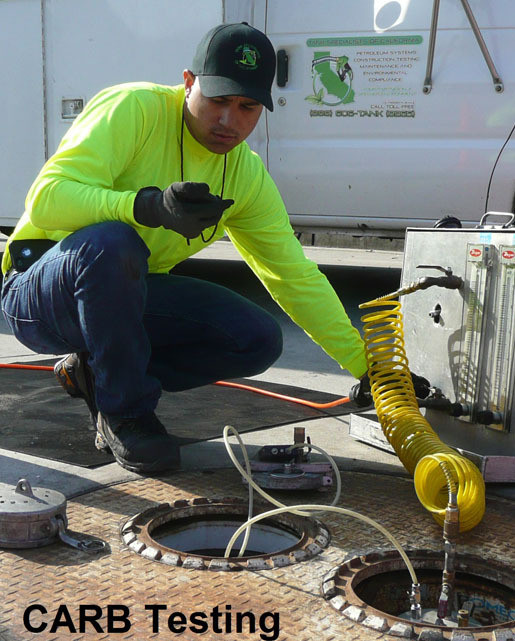 For additional information (Conventional Suction): http://www.epa.gov/oust/pubs/STOT05_Rev4-6-09.pdf (See Page 22). 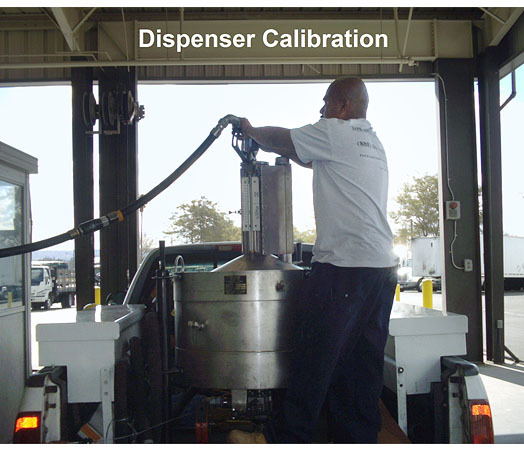 Dispenser Calibration is a statutory requirement if the pump/fuel dispenser is to be used for trade purposes. 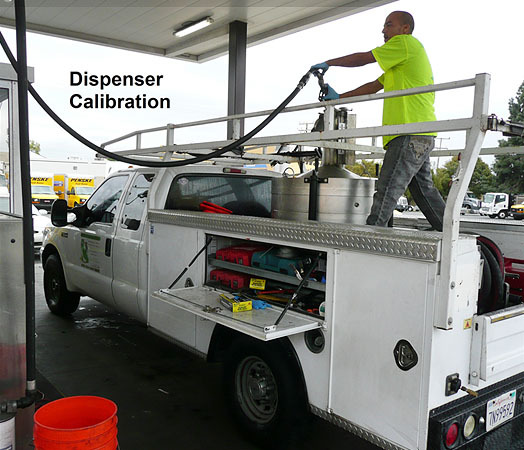 Without regular calibration a pump/fuel dispenser, like any other measuring instrument, will drift out of accuracy thereby impacting directly on business performance and profit margins negatively. 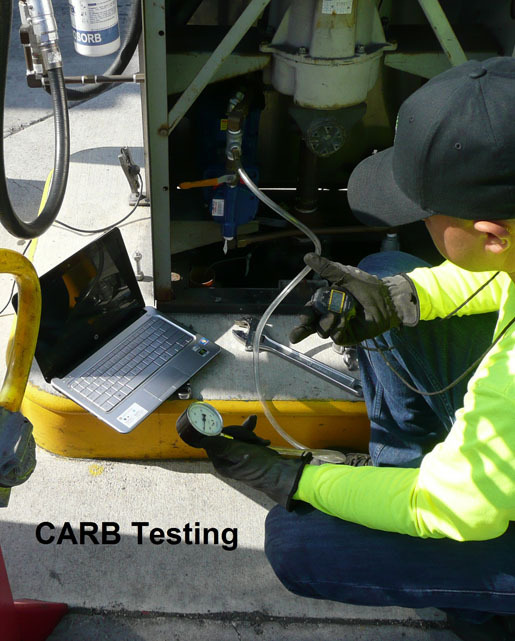 Helium Testing is typically used to locate small leaks associated with Secondary Testing (SB989) failures. 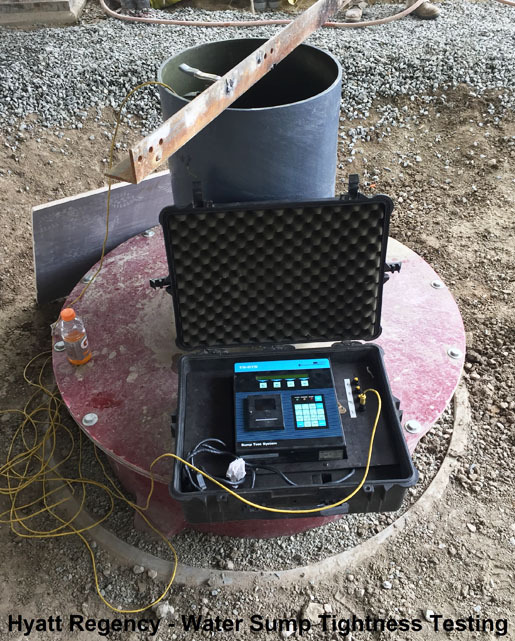 The helium is used as a tracer gas and its concentration is measured in order to pinpoint leaks related to Underground Storage Tank (UST) systems.